28" x 28" - Color formulas have never been more picturesque. 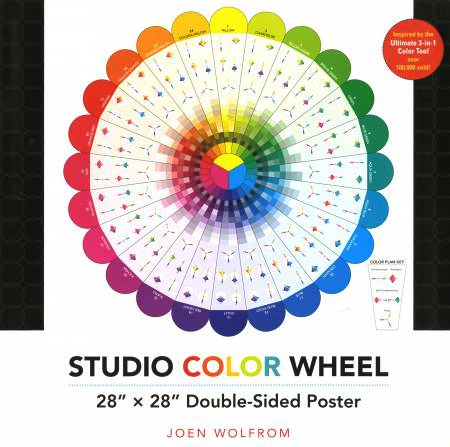 Displaying this large-format color wheel on the wall makes it easier to find the perfect combination of colors, tint, and shades for any creative project. Includes complete instructions for how to use it. Based on the Ives Color Wheel.